Award Year: 2009 In 2000 roughly 8 million Americans, a disproportionate number of them minorities, lived in neighborhoods with poverty rates of more than 40 percent, and also suffered alarmingly high rates of poor health outcomes. In a new book, Jens Ludwig, Ph.D., McCormick Foundation Professor of Social Service Administration, Law, and Public Policy at the University of Chicago, and Greg J. Duncan, Ph.D., Distinguished Professor of Education at the University of California, Irvine, will explore how various "place-based" public policies might improve health and other outcomes for some of the nation's most disadvantaged families living in some of our most distressed urban neighborhoods. Their book will focus on lessons from one of the most ambitious randomized environment experiments ever undertaken, the five-city U.S. Department of Housing and Urban Development's Moving to Opportunity program. Through a random lottery, some very low-income families living in public housing were offered a chance to relocate to less distressed areas. Using a range of outcomes data, the investigators expect to produce "gold standard" evidence illuminating the ways in which changing neighborhoods affect health and well-being. Their study, Neighborhood Effects on Health, will also analyze the costs and benefits of mobility and community-level interventions and has the potential to inform a wide range of health, education, community development, and other social policies. Greg Duncan is Distinguished Professor in the education department of the University of California, Irvine. 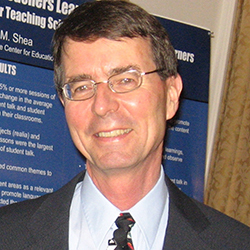 Between 1995 and 2008 he was the Edwina S. Tarry Professor in the School of Education and Social Policy and faculty affiliate in the Institute for Policy Research at Northwestern University. He was awarded a Ph.D. in Economics from the University of Michigan in 1974. Duncan has published extensively on issues of income distribution, child poverty and child development. He is co-author with Aletha Huston and Tom Weisner of Higher Ground: New Hope for the Working Poor and Their Children (2007) and co-editor with Lindsay Chase Lansdale of For Better and For Worse: Welfare Reform and the Well-Being of Children and Families (2001). With Jeanne Brooks-Gunn, he co-edited two books on neighborhood poverty and child development: Consequences of Growing up Poor (Russell Sage, 1997) and the two-volume Neighborhood Poverty (Russell Sage, 1997), which was also co-edited with Lawrence Aber. He continues to study the effects of family and neighborhood poverty on the development of children and adolescents and how skills and behaviors children develop affect their later attainments. Duncan was elected president of the Population Association of America for 2007-08 and president of the Society for Research in Child Development for 2009-2011. He is an elected member of the American Academy of Arts and Sciences, the National Academy of Education and the National Academy of Sciences. He recently was appointed a Visiting Scholar of the Russell Sage Foundation. Kessler, R.C., Duncan, G.J., Gennetian, L.A., et. al. Associations of Housing Mobility Interventions for Children in High-Poverty Neighborhoods With Subsequent Mental Disorders During Adolescence. JAMA, 2014; 311(9):937-948. Ludwig, J., Sanbonmatsu, L., Gennetian, L., Adam, E., Duncan, G., Katz, L., Kessler, R., Kling, J., Lindau, S., Whitaker, R., McDade, T. Neighborhoods, Obesity, and Diabetes-A Randomized Social Experiment. NEJM, Oct 20 2011, 365(16): 1509-19.